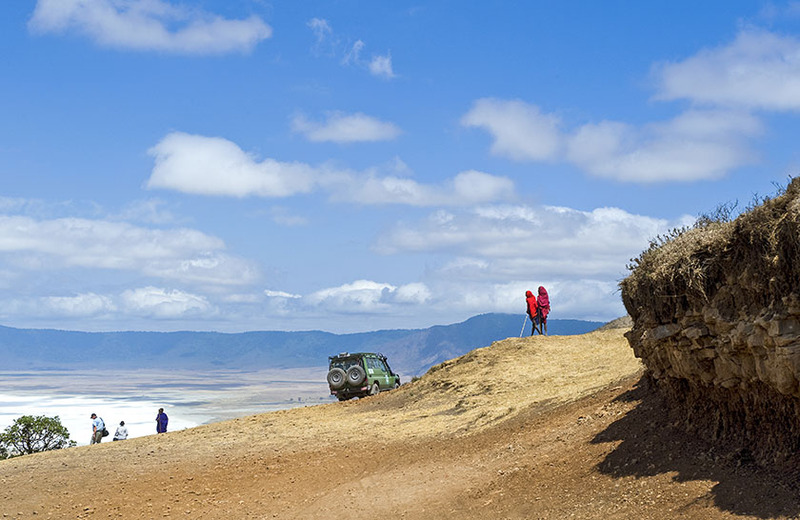 Ngorongoro Crater is the jewel located within the larger Ngorongoro Conservation Area. The NCA was the world’s first multi-purpose land use area with the goal to host not only tourism, research and conservation efforts, but also to allow local pastoralists access to ancestral grazing land and to protect the past and current archeological sites for early hominid discoveries. 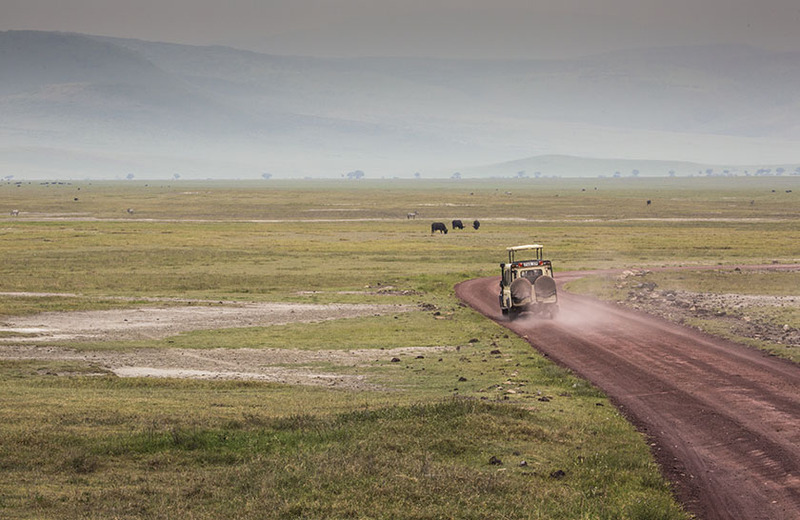 Within this large area defined from the Ngorongoro Forest in the Karatu region all the way to the Serengeti, lies Ngorongoro Crater – one of seven World Heritage Sites designated in Tanzania and the world’s largest intact and unflooded caldera. This means the entire rim of the old volcano is intact. The Crater is only 12 miles wide and 100 square miles in total with the floor at an elevation of 5,600 feet and the rim of the Crater walls reaching another 2,000 feet in elevation. The Crater floor provides six distinct habitats: acacia forest, swamp, short -grass, long grass, riverine and woodland. Each habitat attracts a variety of animals. The Crater is home to almost 30,000 animals in an area naturally enclosed by the slopes of the volcano. Despite the high walls of the Crater, approximately 20% of the herd animals do migrate in and out. 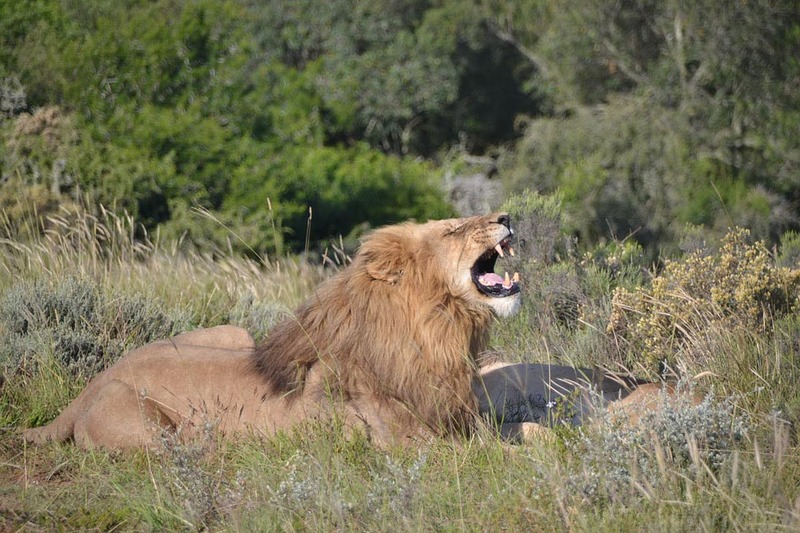 However, the lion population remains rather steady between 55-65 individuals. The lions of the Crater lack genetic diversity because new males do not venture down in the Crater to challenge the males of these in-bred prides. 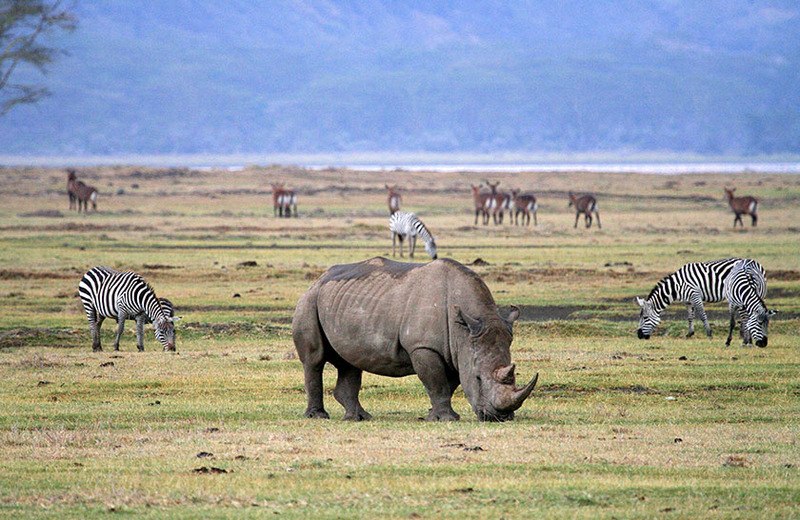 Ngorongoro Crater boasts the highest density of hyena in any location in Africa. The Crater is one of the best locations for viewing black rhino and the huge old bull elephants. 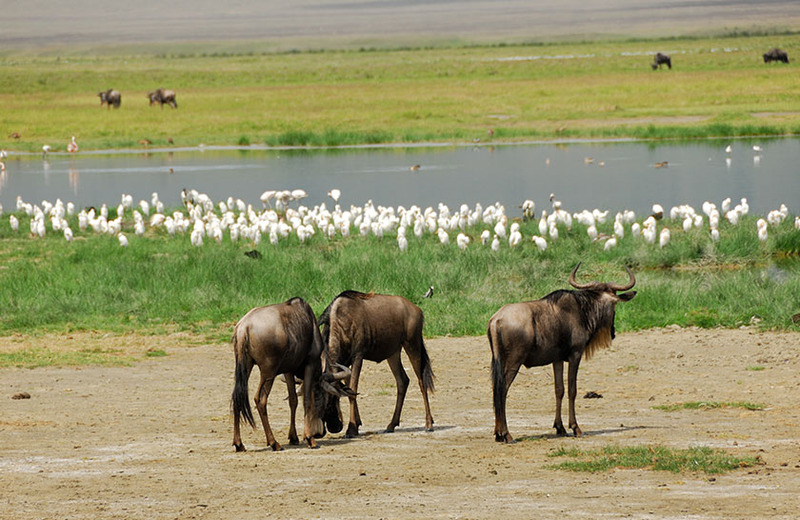 There is not enough vegetation or shade to support the large cow and calf herds, but the old males “retire” to the Crater for the wonderful swamp grass and acacia forest. The only animals you will not see in the Crater are the impala and giraffe. There is not enough food for impala do not inhabit the Crater and giraffe are unable to descend the steep grade without lowering their heads, which raises their blood pressure to dangerous levels. Birding in the Crater is a delight, with over 500 recorded species and an ease in exploring different habitats all within rather close range of each other. Look for the golden-winged and Tacazze sunbirds, Rufous-tailed weaver, Jackson’s widow bird and pallid harrier, as well as the grey-crested Helmut shrike and the beautiful crowned cranes.